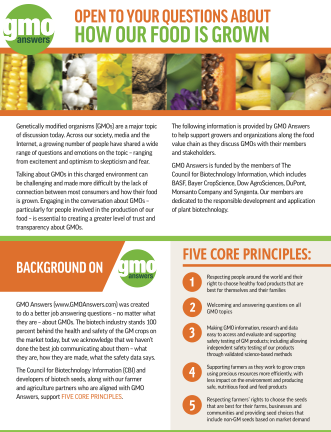 When you search online for “GMOs” (Genetically Modified Organisms) the results that come up speak to GM crops, but GMOs are more than just plants. 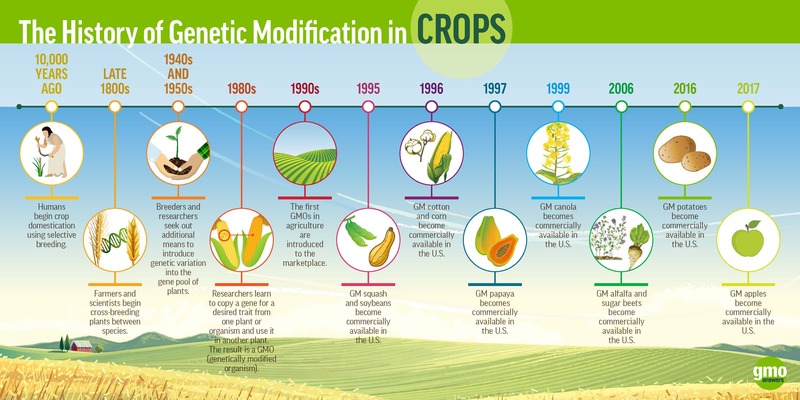 The technology of genetic modification or genetic engineering was first developed in the early 1970s, commercialized in pharmaceutical applications in the early 1980s, and then agricultural applications in the early 1990s. The technology has been around for 40 years. It is hardly new. Perhaps if you compare it to the internal combustion engine it is new, but compared to something as recent and ubiquitous as flat screen HDTVs, DVRs, and Wi-Fi-friendly touch screen devices like iPhones and Tablets, it is a time tested technology. In medicine, genetic engineering (GE) is used to make biopharmaceutical drugs. Various organisms are engineered for use as factories to produce the drug product. Bacteria are the preferred option, as they are the easiest to grow and scale-up for production, but depending on the complexity of the drug’s molecular structure, other organisms such as yeasts, mammalian cells, etc., can also be used to express the drug product. The first GE drug approved for use was insulin. By the year 2000, there were over 100 GE drugs on the market. Currently, people’s lives are changed every day by drugs like Remicade, Epo, Avastin, and Neulasta. With the notable exception of Golden Rice, the agricultural applications for GE have been predominantly directed at the practical concerns of farming, such as controlling destructive insects and weeds. Herbicide resistant and insect resistant crops have given farmers more choices. While the techniques used to modify the organisms are similar, the intent couldn’t be more different. Pharmaceutical companies are looking to manufacture drugs that are intended to have deliberate effects on the biochemistry of their targets. Agricultural companies are adding traits that will help farmers or benefit consumers (e.g. non-browning apple), without affecting the safety of the crop. In agriculture, the goal is to have no greater effect on our health and metabolism than the crop’s non-GE variety. Again Golden Rice is the exception, as it is designed to have a higher nutritional content than its non-GE counterpart. GE drugs and crops do have some commonalities. Both are the result of very long and careful screening processes to find the right molecules/proteins and the genes that code for them. For a drug product, the candidates are molecules with the potential to treat or cure a disease or condition. The intent in agriculture is to find proteins/molecules that will provide a useful trait to a plant and does not cause harm to people or the environment. The next step is to take the candidate genes and insert them in the appropriate host organism/crop species, and after 40 years of refinement this is now the most routine part of the process. Then begins the painstaking operation of selecting the organism or plant that is expressing exactly what you want the way you want it. Which leads to the last bit GE crops and drugs have in common; both go through a multi-yearapproval process. The approval process for drug products is to ensure that the drug does what it is designed to do with minimal side effects. Because these compounds are designed to have such profound biological impacts, they have a more in depth approval process. They must not only be shown to be safe, but also to be effective for the condition they are targeted to treat. The approval process for agriculture is only concerned with safety and substantive equivalence. 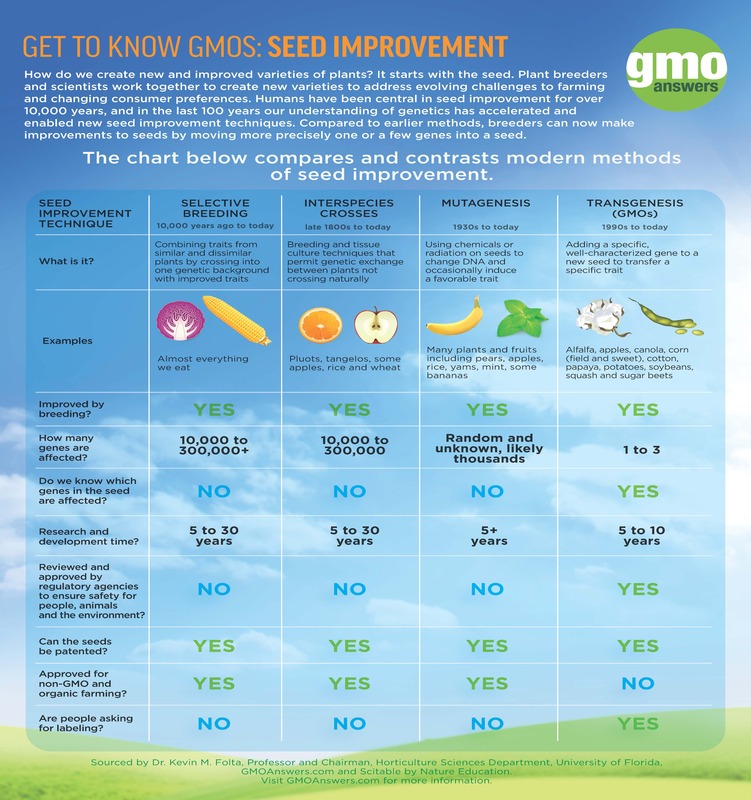 The process confirms that the crop is as safe to eat or use as its non-GE counterpart, and that it is not an unintended risk to the environment. Currently only a few genetic changes are made to a crop which ultimately results in the expression of well understood proteins. That makes checking for known allergens and digestibility a relatively straightforward process. These safeguards are doing their job, as the scientific consensus is quite clear, the currently approved GE crops pose no greater health or environmental concerns than their non-GE counterparts. 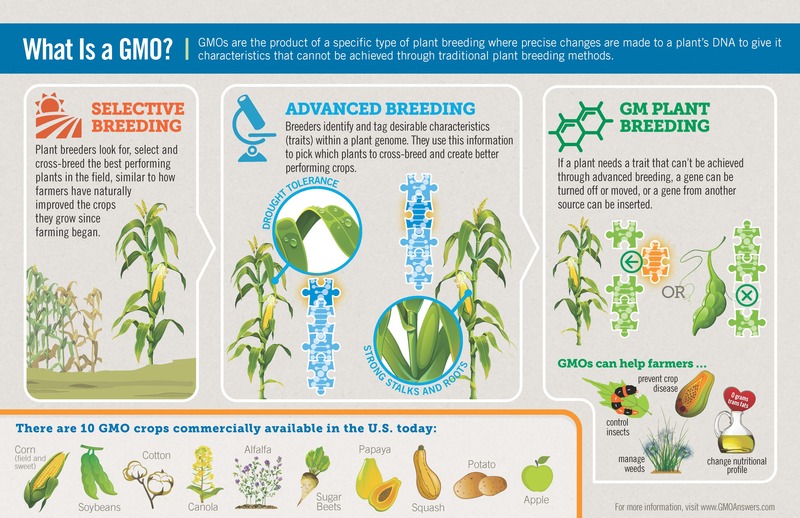 While genetic engineering is used in both agriculture and medicine, it is far more controversial in agriculture. Here is an explanation that helped shape my point of view: intellectually, I can grasp that adding or silencing a few well-characterized genes out of thousands is a drop in the genome bucket, but for me it makes it a bit more real to think of it in terms of people. Just look at the variety among us. Variations between our thousands of genes are why we are all different from each other, but even with those differences, we are all human. It is similar with plants. Changing one, or as we get better, a few genes, in the plant genome is barely a blip compared to the normal diversity between individuals. To paraphrase what a wise man once said, GE corn is just corn. 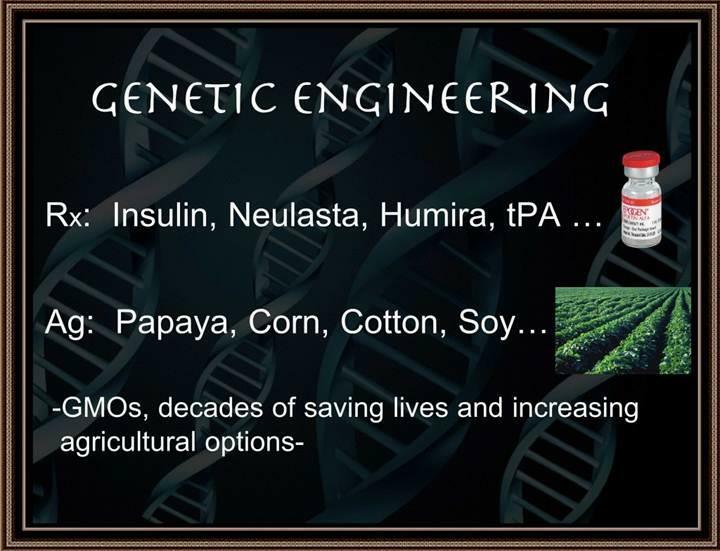 It is my hope that this review of the parallels between GMOs in medicine and agriculture has added some perspective to the ongoing discussion surrounding the uses of genetic engineering.